A social construct is, according to those that profess such ideas, an idea or notion that appears to be natural and obvious to people who accept it but may or may not represent reality, so it remains largely an invention or artifice of a given society. Therefore, those things deserve not only to be challenged, but eliminated by those who oppose them. 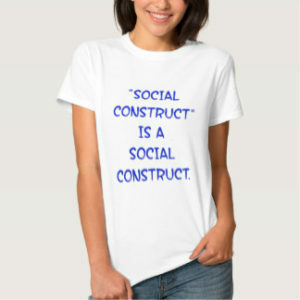 The problem, of course, is that by identifying those particular things as social constructs worthy of replacement or abolition…social constructionists are, in their determining of what those replacements are to be, defining yet another social construct, due to the fact that they are, as a given society, espousing something that they deem is natural and obvious (see definition in initial paragraph).